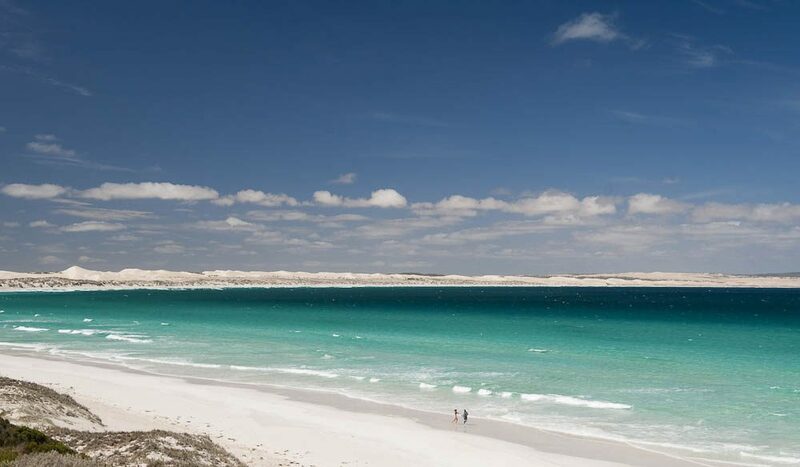 A feast for the stomach and the eyes: Coffin Bay National Park Beach (Almonta Beach). Like your seafood with a side of scenery? The Eyre Peninsula is home to the largest commercial fishing fleet in the southern hemisphere – so it’s heaving with opportunities to observe, catch, and eat fresh oysters, prawns, fish, abalone, scallops and more, all while traipsing along the shoreline and exploring pretty seaside villages. A feast for the stomach and the eyes, you might say. The scenic trail winds from Whyalla to Streaky Bay, through seaside havens like Elliston, Coffin Bay and Venus Bay, and takes in surfing hotspots like Cactus Beach and Davenport Creek along the way. You can visit oyster farms at places like Cowell and Coffin Bay to taste their famous plump briny delicacies, sample fresh local crayfish at Elliston, and taste the bluefin tuna of Port Lincoln. See southaustralia.com for more information.